Getting enough of a quality sleep is an important factor that plays one of the crucial roles in your overall health, and to get an adequate amount of sleep you need a good pillow that will suit your specific shape and perfectly work for your needs and sleep preferences. 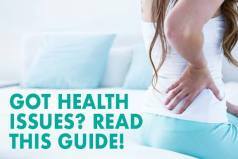 A good pillow will provide support to your neck and upper back, but it will also provide a high level of comfort to prevent the appearance of pressure points and allow you to enjoy your sleep totally. Today we’ll take a look at the Lull pillow that has been recently introduced by Lull online mattress company. We we have already reviewed their mattress and you can click here to read our full Lull mattress review. The Lull pillow uses a special microfiber technology and a three-layer design to provide a perfect combination of comfort and support for your head and neck. It is designed to work for a wide range of sleepers with different needs and sleep preferences, but can it work for you? The Lull pillow is offered in two dimensions: Queen which is 26″ x 18″ x 2″ and King which is 34″ x 18″ x 2″ and is shipped uncompressed in a large box, so there won’t be any off-gassing smell that is usually present with pillows that come compressed and packed in a plastic package. Unlike those pillows entirely made of one flat block of foam, this pillow is filled with soft microfibers. It uses a three-layer design which means that its top and bottom layers contain opened microfibers that offer this down feel and a soft and fluffy sleeping surface. The inner layer of this pillow contains dense, tighter compacted microfibers so it can provide you with the amount of support you need throughout the night and keep your spine properly aligned. Besides this, the pillow is wrapped in high quality cotton cover which is really soft and pleasant to touch and which gives it a beautiful look and helps it breathe easier. So, the cover of this pillow is not removable. You can’t remove and wash the cover, but the good thing is that you can wash the whole pillow. The Lull pillow is machine washable and dryable and won’t loose its loft. The company recommends washing it by using a mild detergent and a delicate cycle and tumble drying it on low heat with dryer balls or clean tennis balls. As for comfort, the Lull pillow feels like a traditional down pillow, but there is also a lot of responsiveness coming from its microfiber filling. 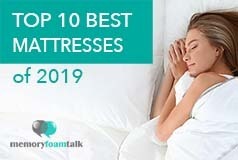 It provides a very soft and fine, down like feel and has all pressure relieving benefits of memory foam. Its middle layer is denser and a little bit harder than the top and bottom layers which are loose and soft and which place this pillow more on the softer side. How much it will compress when you put your head on it depends on your size and the weight of your head, but these softer layers combined with a denser middle layer offer a lot of responsiveness and will prevent your head from sinking too much into the pillow and feel enveloped by it. What we don’t like about it is the fact that it does not allow a great degree of adjustability, which means that you can’t open it and take some of its filling out or add it back in to adjust its height and you can’t manipulate the filling and push it to the other sides of the pillow. Otherwise, the pillow is a perfect blend of softness and support, and has this fluffy feel while it also provides a good support. If you are a back or side sleeper you will like this pillow. It worked perfectly for us when sleeping on our backs or sides. But, if you are a stomach sleeper you may try to sleep on the edges of this pillow as it may be too lofty for this position if you prefer sleeping on the middle. It may soften after a few months of use so you may find it good for this position after that, but all in all it is not an ideal pick for stomach sleepers. The Lull pillow doesn’t have any special cooling technology, but its filling and soft cotton cover allow a good circulation of air through it to prevent the build up of excessive heat and keep the things comfortable throughout the night. The Lull pillow comes in at $75 for a Standard version and at $85 for a King which are excellent prices given the quality materials used in its construction and its overall luxuriousness and comfort. It comes with a 100-Night Risk-Free Trial period, so you can try it out, and if it is not your fit, you can return it for free within these 100 days and get a full refund. It also comes with a 1-Year Limited Warranty, is shipped for free and will be delivered to you via FedEx in 1-4 business days after placing your order. 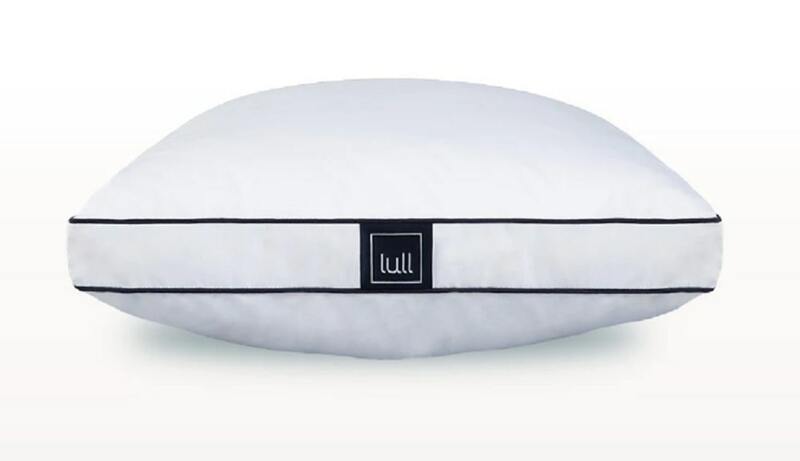 Click here to buy the Lull pillow at the best price. Is the Lull Pillow Right for You? Traditional down pillows – The fiber filling of this pillow provides a very soft and fluffy feeling. It creates the down like feel and may be perfect for you if you like such pillows. 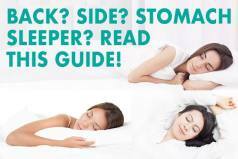 Back and side sleeping – The Lull pillow feels really fluffy due to the softer filling in the top and bottom layers while at the same time it offers enough support necessary to keep your head and neck properly aligned with the rest of your body while sleeping on your back and side. Machine washable pillows – This pillow may not have a removable cover, but the good thing is that the whole pillow is machine washable and dryable. So, if it gets dirty, you can freely throw it into the machine. The Lull pillow, along with some other pillows we have recently reviewed, is one of the fluffiest pillows available on today’s online market. It offers that down luxurious feel and cloud-like softness and is designed to work for all sleeping positions, though we found it to be the best for back and side sleeping. It uses a special three-layer design, which means that its top and bottom layers are filled with a softer filling that make this pillow extremely comfortable, while its middle layer is made of a somewhat denser and harder filling that gives it a lot of responsiveness and makes it supportive and durable. Although it doesn’t have any special cooling technology, it is built of the highest quality hypoallergenic materials that allow it to breathe freely and give it a beautiful look. So, if you are looking for a fluffy and comfortable pillow that will provide you with an amazing soft feel, that will gently relieve your pressure points while also offering your enough support to keep your spine properly aligned, then you should look no further from the Lull pillow.